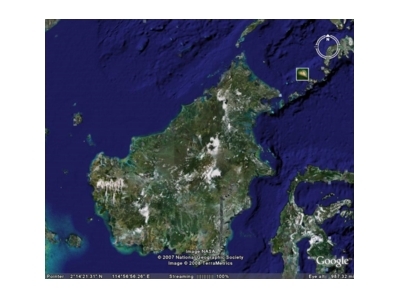 Borneo, at the size of 748,168 sq km, is the third largest island in the world. But if you count Australia (at 7,618,493 sq km) as an island, then you will have to demote Borneo into the fourth spot. If you take Australia out of the equation, then the world largest island will be Greenland, at 2,175,600 sq km, followed by New Guinea at 785,753 sq km. Located right at the centre of Southeast Asia, the island comprised two Malaysian state (Sabah and Sarawak), an Indonesian territory (Kalimantan) and a country (Brunei). You can call me Jaxon S. I was born in Sabah, the Malaysian state on Borneo island. I spent most of my lifetime growing and living in Borneo, until in 2005 when I had to uproot from Borneo island because of work commitment. I worked in Singapore for about 30 months until November 2007. I’m now working in the Malaysian capital of Kuala Lumpur. Sabah, my home state, has three main ethnic groups — the Kadazandusun, Bajau and Chinese. Under the Kadazandusun group, there are over 30 more sub-ethnic groups. I am from one of the these sub-tribes, called the Kimaragang, or the name given to the descendant of a man called the Red Man. This blog is dedicated to Borneo, the place I where I grow up, and the place I want to return to when the time is right.